My gut tells me I should sue their asses off for using our likeness for profit. My team of legal advisors tell me I should not take on The Jim Henson Company for this. 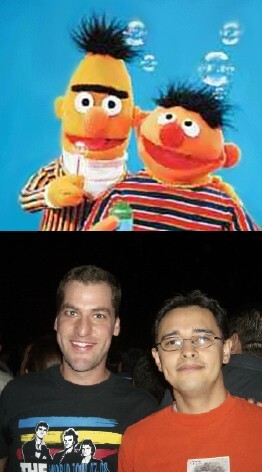 Apparently Bert and Ernie have been around longer. What do you think? Do I have a case?